Apple Butter Pie glycerin soap smells of tart apples, apple butter, milk, and flakey pie crust. Note this soap may discolor over time due to vanillin in the fragrance. Really fast shipping! 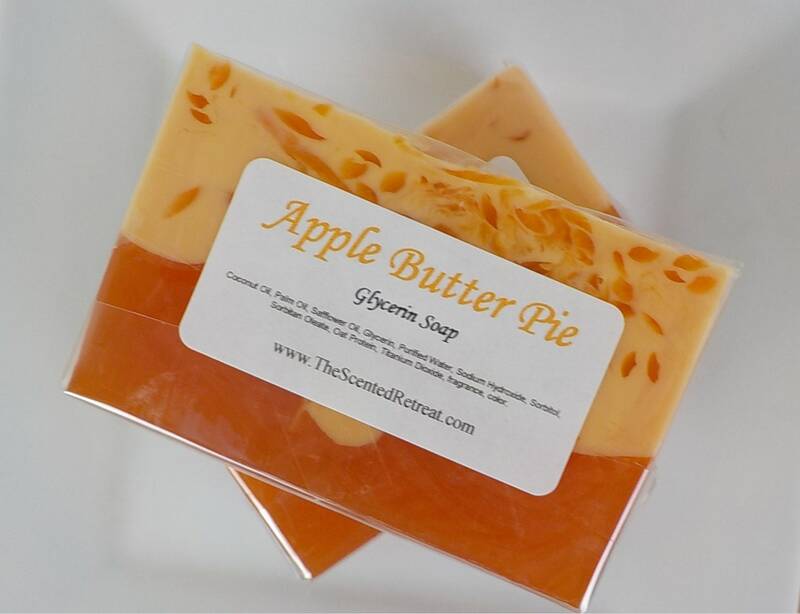 I love using Kathy’s soaps. They smell great and look so pretty! This is the on|y soap that actually helps my granddaughter's eczema, instead of irritating it.